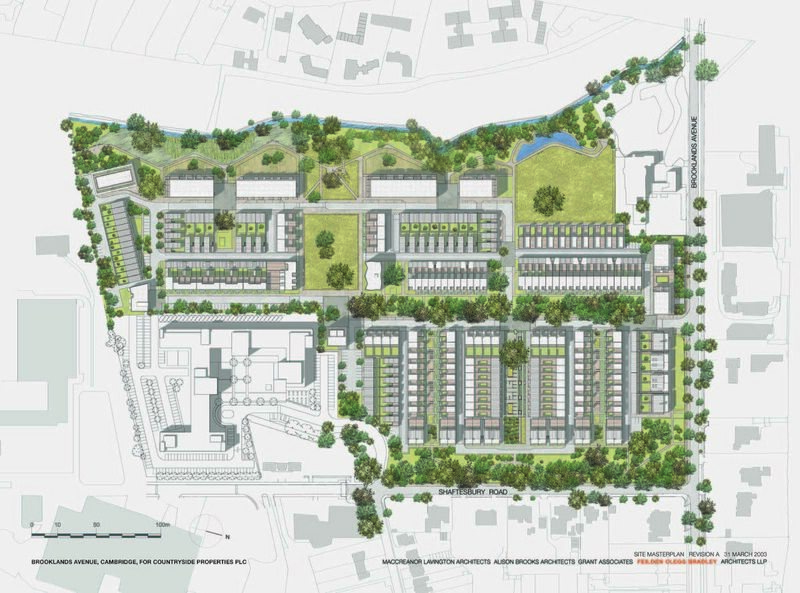 Within the 378-Unit Accordia masterplan ABA had the unique position of designing three completely different building types in three locations: two pairs of semi-detached houses on Brooklands Avenue, a five storey ‘point building’ comprising ten apartments overlooking the central square, and a twenty-one unit apartment building overlooking Hobsons Brook. 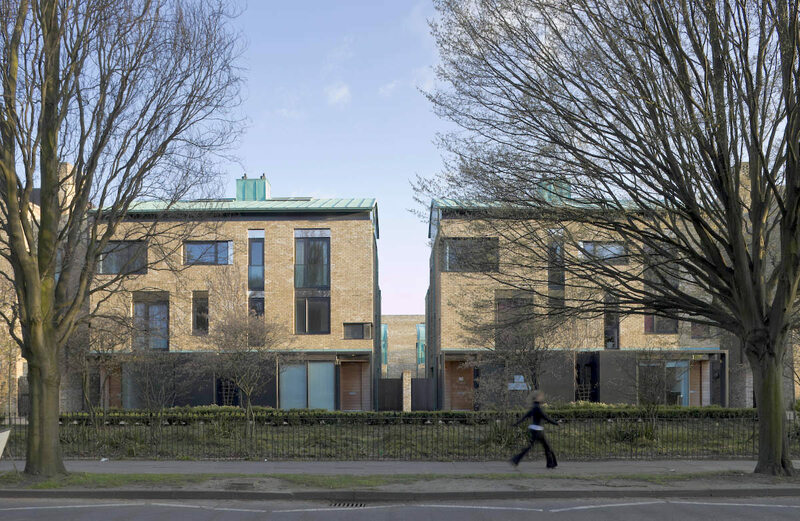 Each building was conceived as a very specific response to its location; a means to provide a variety of flat and building types across the site, and as an opportunity to explore new models for contemporary housing and domestic space. 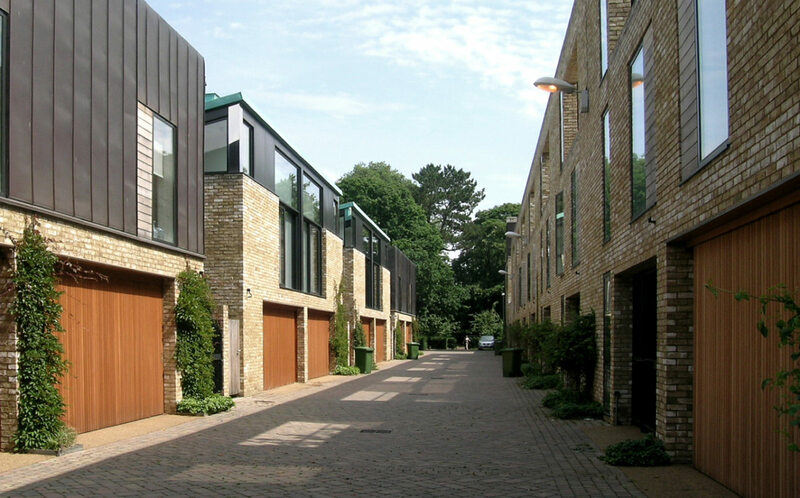 ABA’s four semi-detached houses form part of a row of substantial properties that showcase the Stirling prize-winning development. 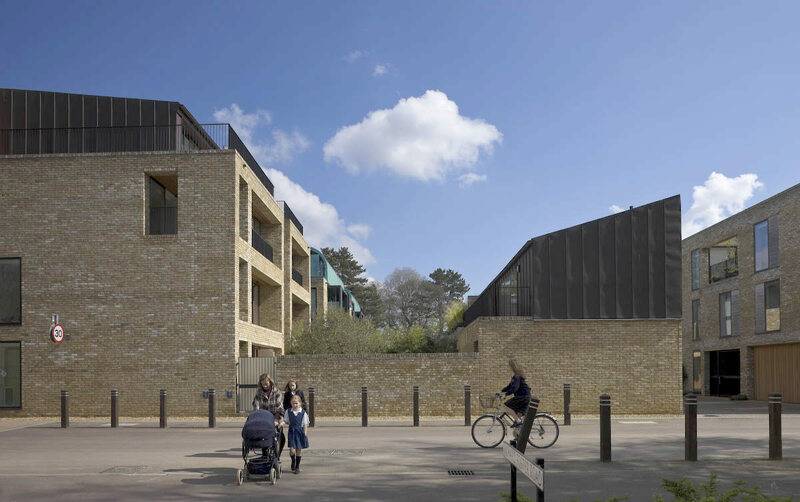 Inspired by the array of eccentric villas along Brooklands Avenue, the split-level atrium houses provide a flexible open plan layout with internal spaces varying in height and orientation within the envelope defined by the high density, sustainable masterplan. 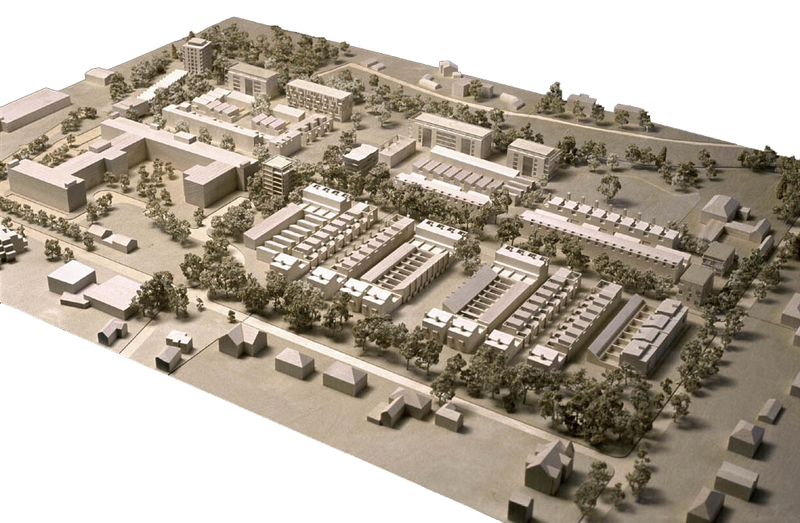 The Brass building is the ‘turning point’ at the central green of the master plan. 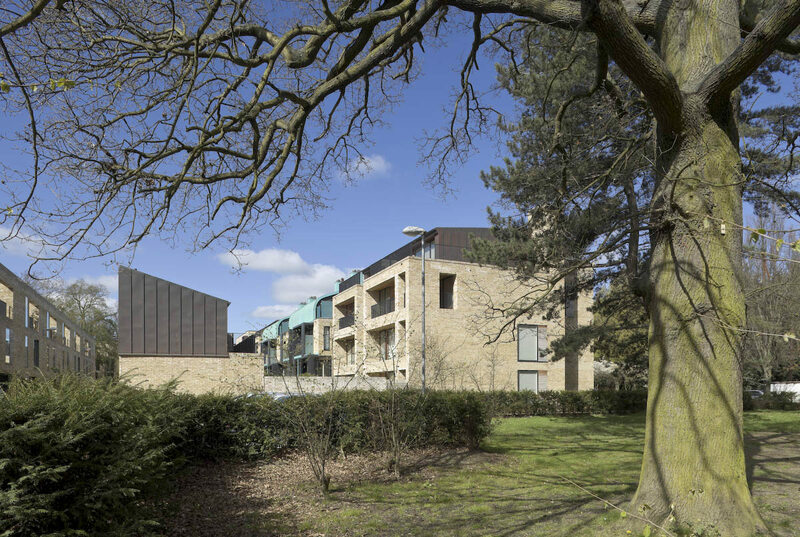 ABA’s initial instinct was that the building should be crystalline, a shimmering apparition among the trees in contrast to the rigorous orthogonal geometry and brick construction throughout the rest of the site. 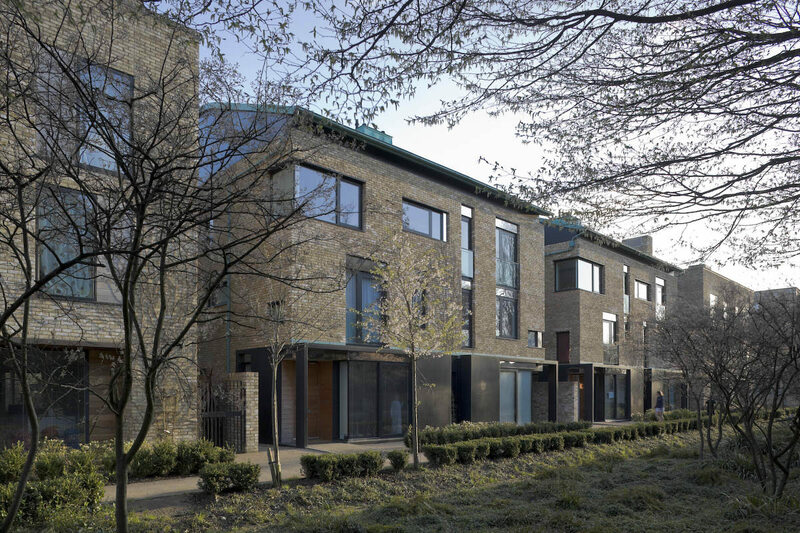 The design of the twenty-one unit apartment building, situated along Hobsons Brook, was driven by a desire to create a mix of loft style interlocking duplex apartments that add to the diversity of the unit types on offer across the site. The building is a mixture of flats and maisonettes. 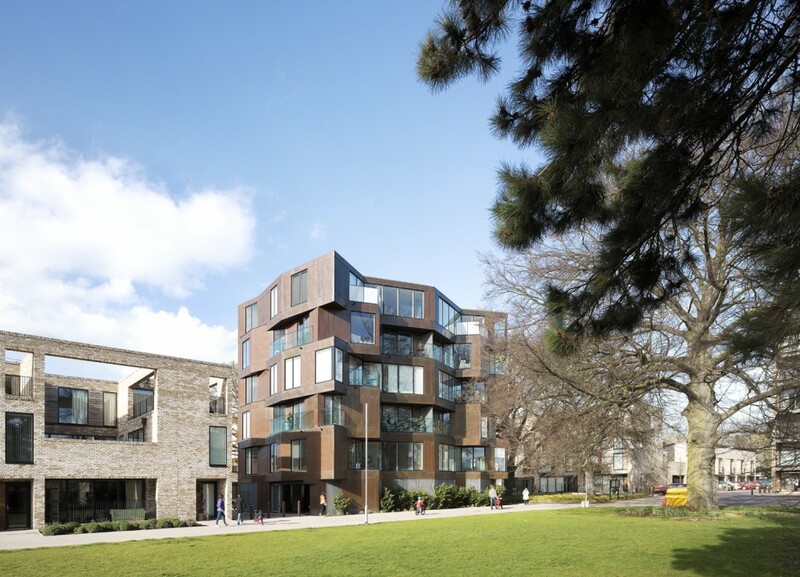 The design of the 21 flat apartment building, situated along Hobsons Brook, was driven by a desire to create a mix of loft style apartments, that add to the diversity of the unit types on offer across the site. The building is made up of flats and maisonettes.